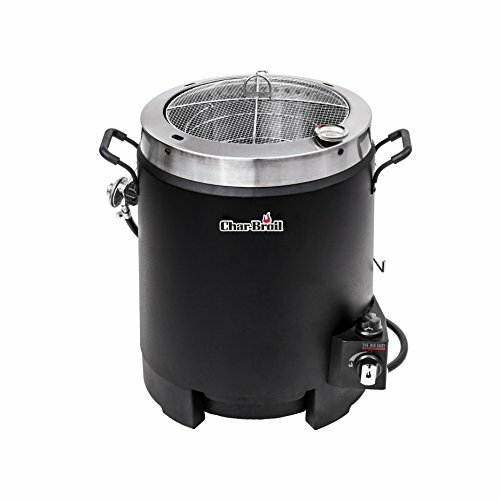 Are you looking for a top-quality outdoor turkey fryer? Then this one from Cajun Injector should be at the top of your list. Read our buying guide packed with information to help you decide if it’s right for you. 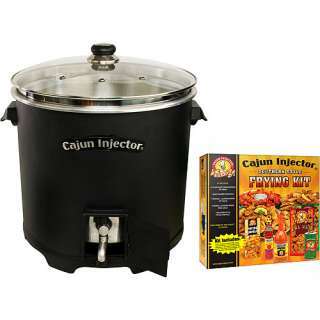 The Cajun Injector Electric Fryer is an indoor turkey deep fryer that is designed to fry 12-14 pound turkeys. It can also be used to deep fry seafood or any other kind of meat as well. 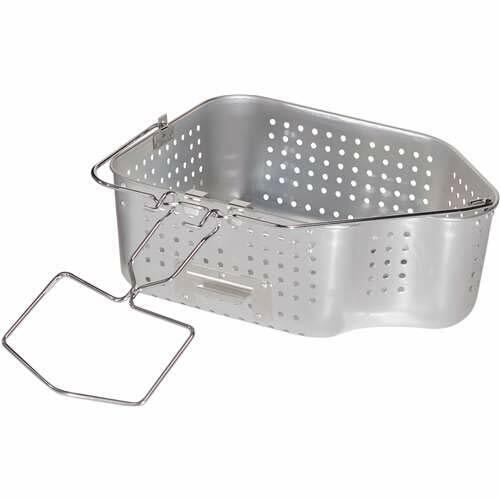 It includes a removable basket which makes for easy draining and has a ton of other features, such as an automatic shut-off, digital thermometer and timer. There’s a swing-out drain valve at the bottom of the unit to make clean-up simple and easy. There’s a clear lid on the top so you can check the progress of your deep fried turkey without worrying about hot oil splattering. The Cajun Injector Deep Fryer isn’t cheap, but you get what you pay for! In this case, you get a solid turkey fryer that will make turkey that is delicious. It’s moist on the inside and crispy on the outside. If you home brew beer, the Cajun Injector Fryer is also an excellent buy. 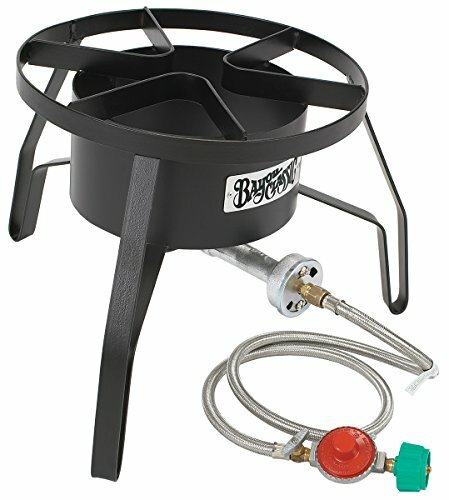 Many reviewers commented that it boils the wort much more quickly than on the stove-top and it’s much safer as well. 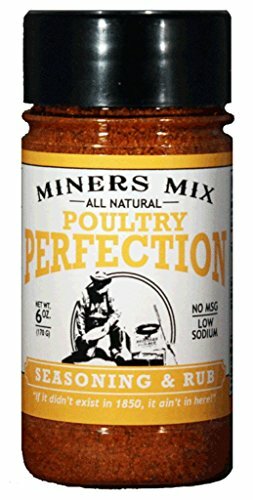 Can fry 12-14 pound turkeys, or chickens, fish and other meat. 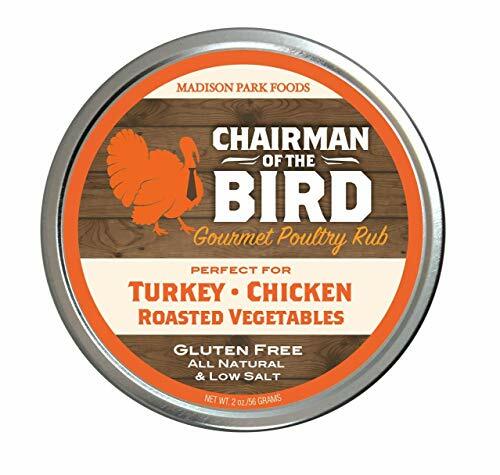 14 pound turkey max, but you’ll get best results staying under 12 pounds. It can be difficult to fully submerge a bigger turkey. Why Consider a Turkey Deep Fryer? There are a number of reasons why you might want to use a turkey deep fryer instead of the oven. Here are a just a few of them. As you can probably imagine, deep fried turkey is delicious! It’s kind of the same as anything deep fried, it’s crispy on the outside but nice and moist on the inside. 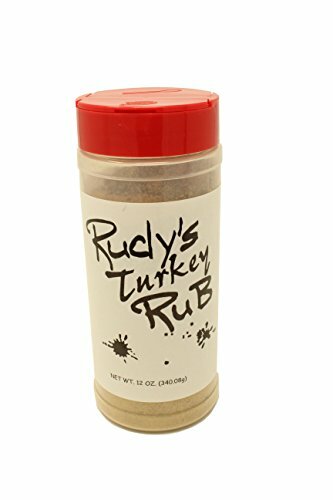 Just be sure to use some seasonings and rubs to get the best results. A holiday feast is a busy day in the kitchen! You probably want to roast some veggies, cook a dessert, or heat up side dishes in the oven. This isn’t that easy to do when a big ol’ turkey is in there! Free up space by deep frying it instead. If you live in a hot climate where Thanksgiving or Christmas is in the summer (the Southern hemisphere), you may not even want to turn on the oven at all. Although an indoor fryer does emit some heat, it’s certainly less than having the oven running for 4+ hours. This is the gift for that person who has everything. If you have a serious home cook in your life, you may want to consider getting them this top of the line deep fryer. 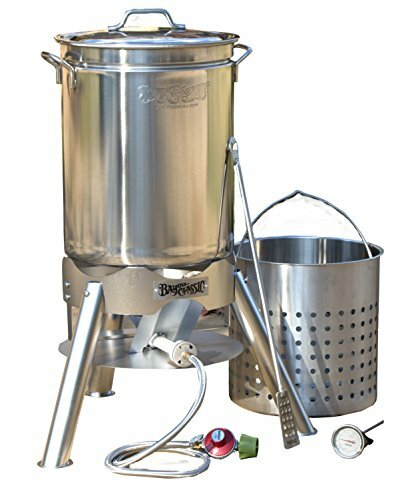 If you’re looking for a top-quality turkey fryer that uses oil and is for inside use, this Cajun Injector one makes a nice choice. It can fry 12-14 pound turkeys in under an hour. Reviewers mentioned that it is very easy to use with the built in thermostat as well as the digital readout. Clean-up is easy too with the built-in drain valve. There is also an automatic safety shut-off so that you’re assured of safe deep-frying. 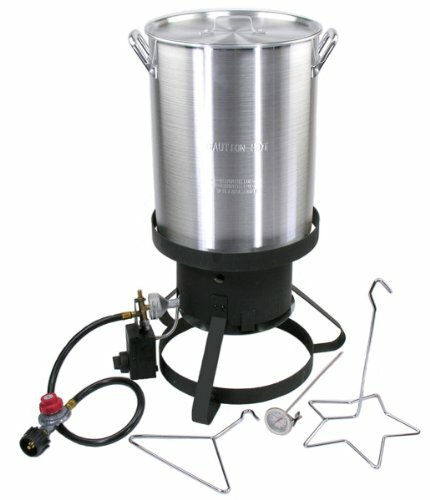 While there are a few negatives to the Cajun Injector Deep Fryer such as the oil taking a long time to heat up and then not maintaining the temperature once the turkey is added, this is common to most indoor, electric turkey fryers and not unique to this specific one. 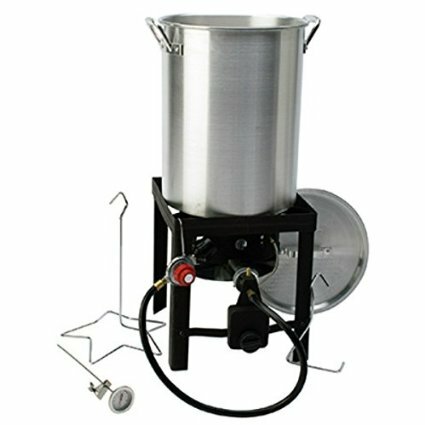 While the Cajun Injector Electric Turkey Fryer is primarily meant for deep-frying turkey, it can also be used by home-brewers to boil wort. Many reviewers mentioned that it works especially well for this purpose and it’s far faster and safer than using a pot on the stove-top. Cajun Injector Electric Fryer: Have your Say! 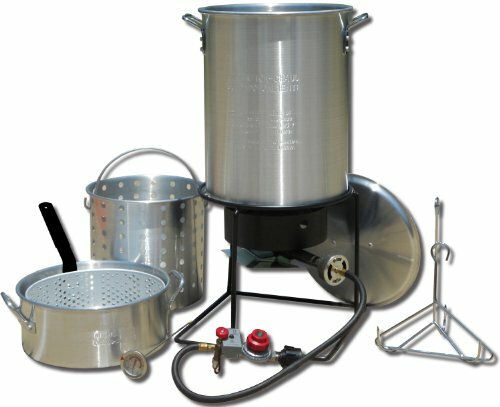 What are your thoughts about the Cajun Injector Turkey Fryer? 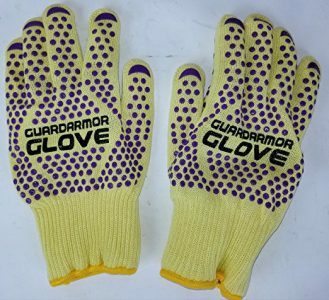 Leave a comment below and let us know what you think. Don’t forget to share this review on Facebook, Twitter or Pinterest.